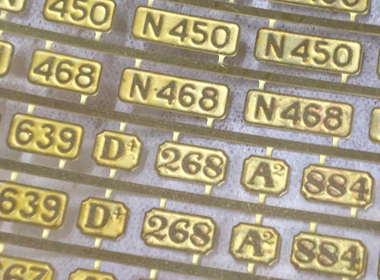 VR-Enthusiast now has available an assortment of Victorian Railways etched brass locomotive plates in H0 scale, an example of which is below. Click through to browse what's available and place your order! If you have one of these kits in unbuilt form and would like to sell, please contact me. Flat Rate $10 per person, children under 16 free when entering with a paid admission. The lining decals are sold out. There are none left! Please refrain from emailing to request for them, or if they will be re-run. A re-run is being investigated, please keep an eye here, as an announcement will be made regarding the outcome.